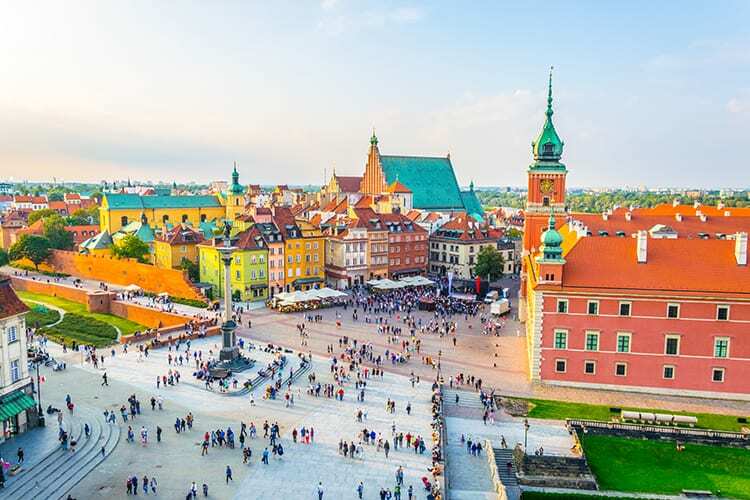 Warsaw, Poland’s capital may be a pulsating, vibrant and eclectic city, but it’s almost impossible to talk about it without saying a thing or two about its tumultuous past. Despite being home to over 2 million people, Warsaw rose from the rubble after being completely destroyed by the Nazis just before the end of the WWII. Fortunately, its inhabitants proved their resilience by meticulously rebuilding the historical Old Town using the original bricks and ornamental elements to make it an exact replica of what it used to be. This is a clear indication that there are a whole lot of cool things to do in Warsaw! 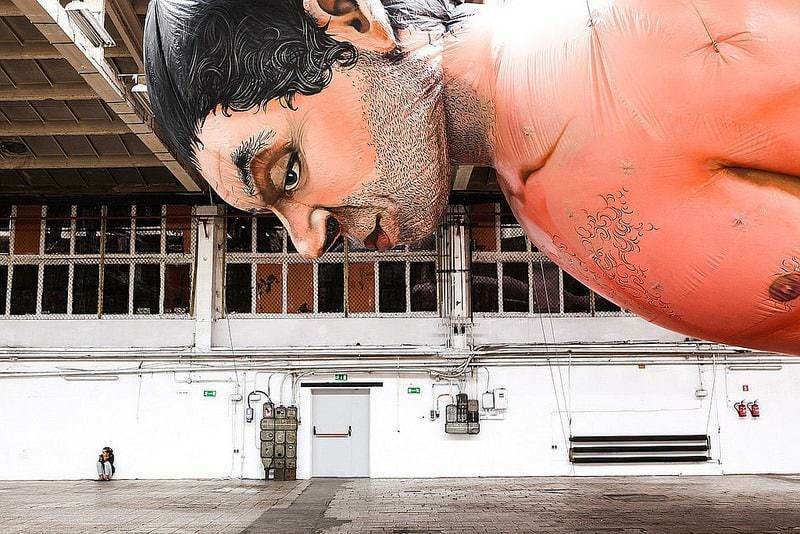 It doesn’t matter whether you’re into history, contemporary art, food or classical music; Warsaw has something for everyone to enjoy. So if you are wondering what to do in Warsaw, then this list is for you! 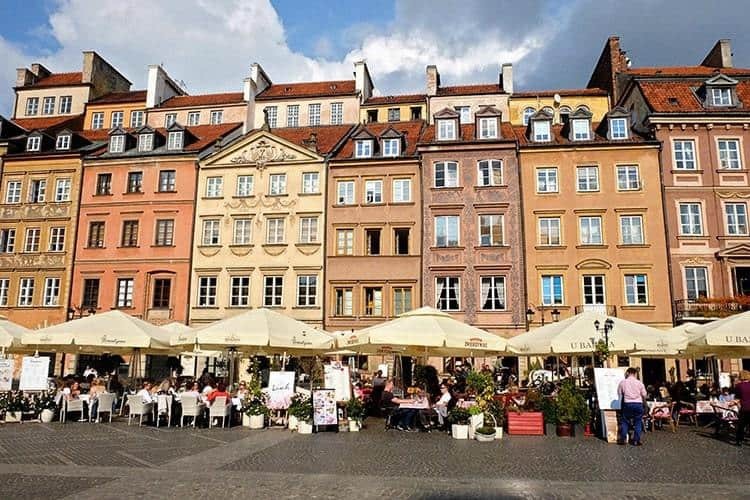 Here is a list of the best things to do in Warsaw, Poland! 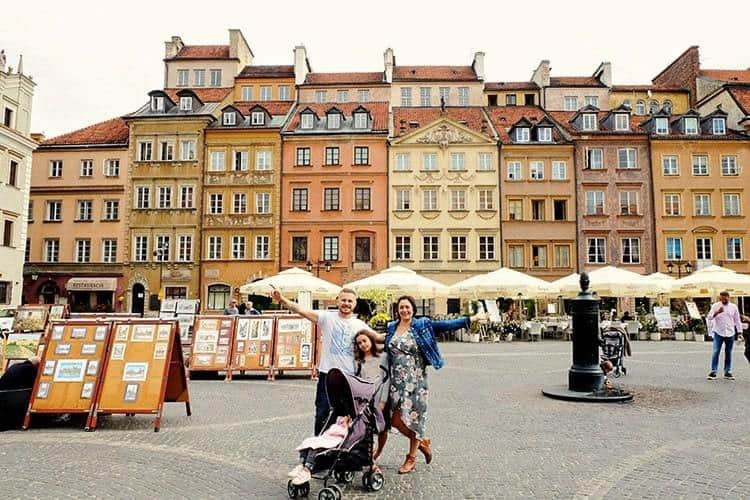 You’ll be surprised by just how fascinating Warsaw’s Old Town is especially if you explore it on foot. Believe it or not, almost 85% of this beautiful place was rebuilt after the World War II having been completely destroyed. That’s not all it has to offer; this “new” Old Town is surprisingly free from the hustle and bustle that you’d expect in other big cities across Europe. It may be a quaint town full of quiet alleys, but its welcoming cafés, energetic squares and an intense sense of history will be etched in your memory for a very long time. Without a doubt, one of the top things to do in Warsaw, so don’t miss out!! 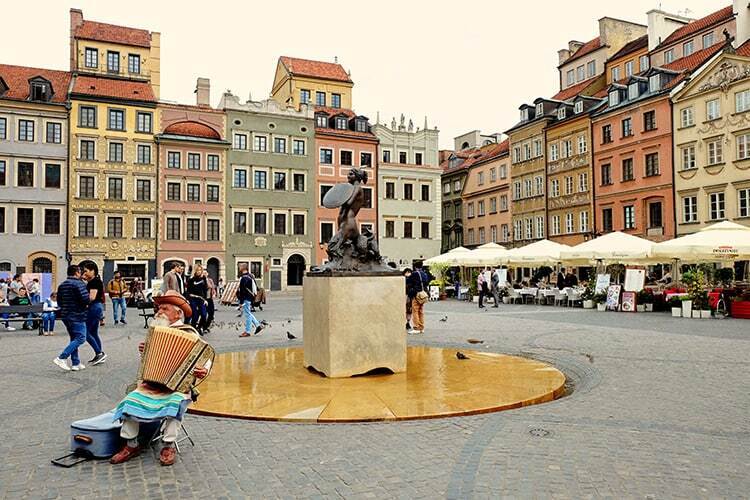 You’ll be luckier if you visit the Old Town in warmer months when many of its vibrant squares become home to unending open-air art galleries and other captivating events. Watch our video to see what the beautiful Old Town is like. 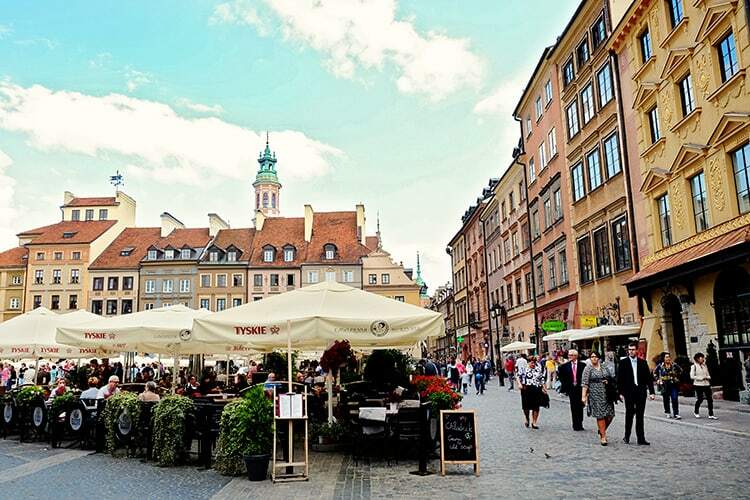 We have included all the main things to see in Warsaw Old Town itself. Perfect for those of you who only have one day to explore. If you prefer, you can also explore the Old Town via a horse and carriage (located in front of the Royal Castle) or via the white train tour (located in front St. Anne's Church) as well. 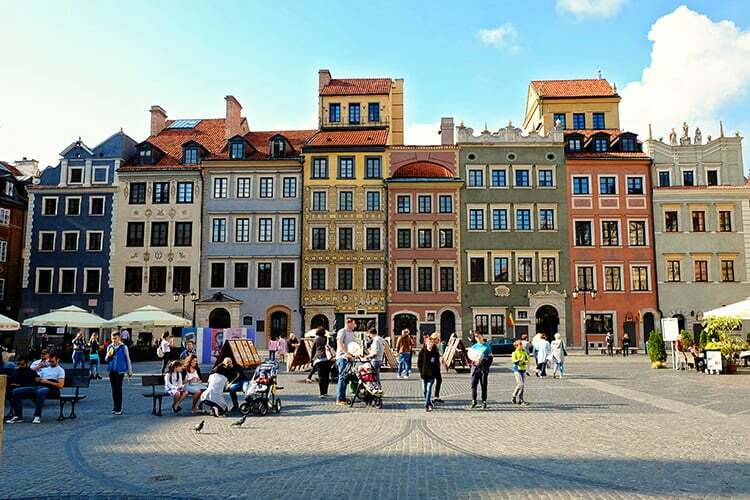 There is also an option of a free walking tour of Warsaw Old Town, more information on this tour is located here. The Old Town Market Square oldest part of the Old Town of Warsaw and dates back to the 13th century. The square used to be the centre of Warsaw’s life, where you could listen to political speeches and see some executions. The four sides of the square are named after famous inhabitants: ‘Barss' Side' is to the east, ‘Kollataj's Side' to the west, ‘Dekert's Side' to the north, and ‘Zakrzewski's Side' to the south. 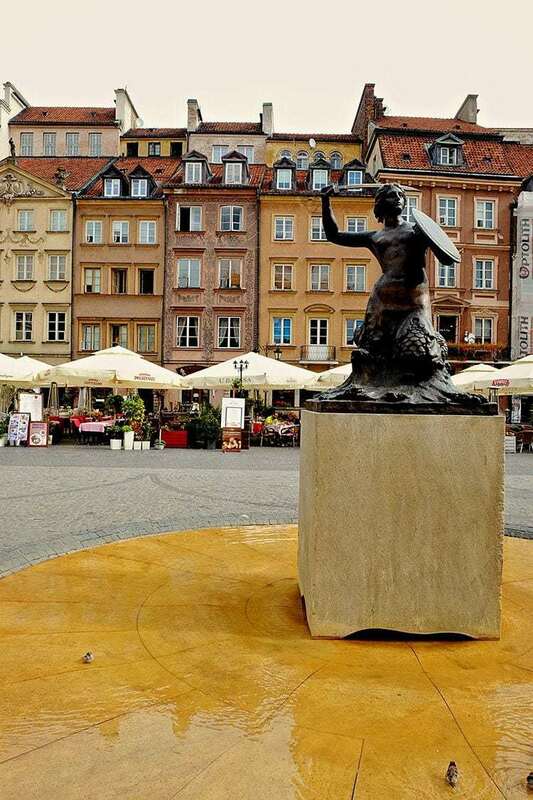 In the middle of the square, you will find the iconic monument of the Warsaw Mermaid, depicted brandishing sword and shield. She is always ready to defend her city in times of turmoil. 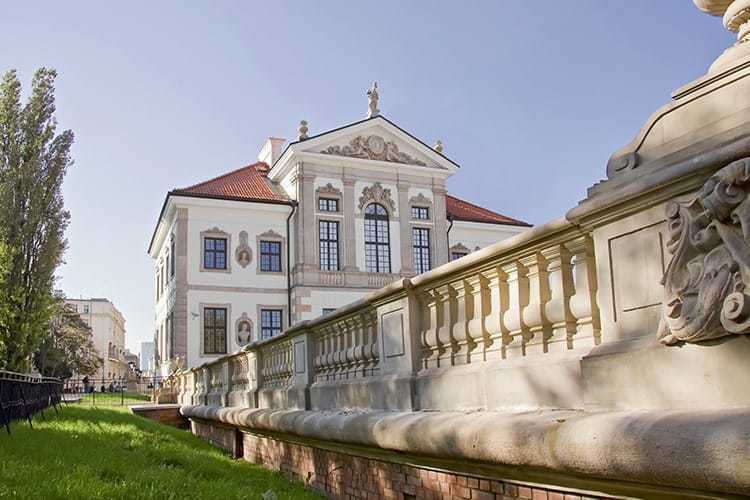 Whilst you are here, you might also like to visit either the Literature Museum and/or the Historical Museum of Warsaw. There is also a nice selection of restaurants here. We chose not to eat here as the prices were all inflated and enjoyed meals elsewhere instead. But it might be a great place to at least enjoy a cup of coffee or a glass of wine, in order to truly soak up the atmosphere. 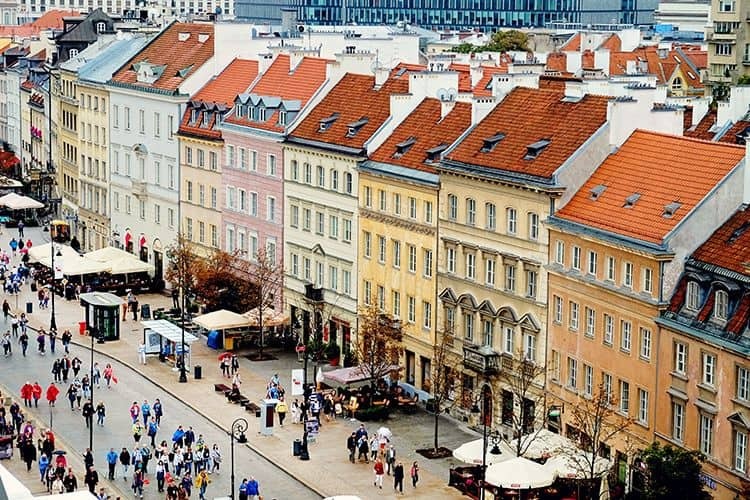 Located in Warsaw Old Town Market Square, you will find 11 beautifully restored townhouses. Inside you will find 7352 extraordinary, original (no replicas) and uniquely showcased displays on the city's past from the 14th century to modern times. It truly is one of the most remarkable of things to see in Warsaw and probably one of the most photographed as well. Don't forget to head up to the 6th floor for some picture perfect views over Market Square. Audio tours are available in English. Tip: Our kids found the audio tour a bit boring (and super long), so if you have kids, might be best to forget about the tour and simply stroll through the museum. Sigismund's Column is one of Warsaw’s most famous landmarks. It was originally erected in 1644 and stands 22 metres tall. The 17th-century column and statue commemorate King Sigismund III Vasa, who moved Poland's capital from Kraków to Warsaw in 1596. 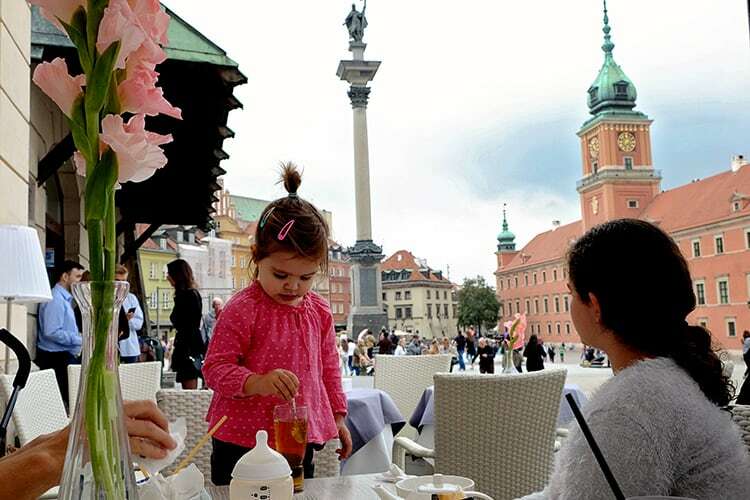 The Column is easy to find in the Castle Square of Warsaw Old Town. There are also some restaurants close by where you can enjoy a coffee or beer whilst people watching. Due to its prominence, it is often used as the meeting point for various tours of Old Town itself. The Royal Castle dates back to the 14th century, but back then the structure consisted of a tower and some wooden buildings. The Castle as we can see it began towards the end of the 16th century. You can have a look at the inside of the Royal Castle (Castle Museum). The museum is closed on Monday. You can choose between two routes, entrance is really affordable and you can even enter for free on Sundays. 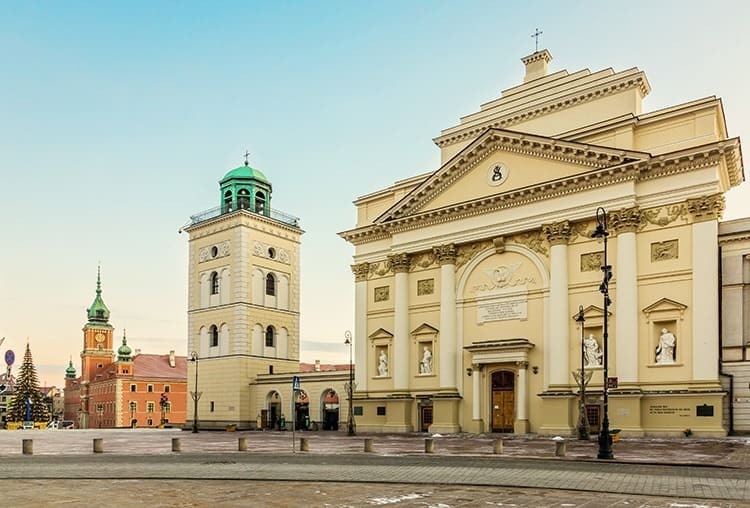 The St. Anne's Church is a beautiful church in the historic centre of Warsaw. The church ranks among Warsaw's oldest buildings. You will find it adjacent to the Castle Square, so make sure you grab some photos of it as you explore Warsaw's other attractions in the area. Whilst you are at St.Anne's Church, make sure to climb up to the bell tower. To get to the observation terrace, you will need to climb 150 stairs. But the view from the top truly is worth all the pain. We highly recommend this one. We had really rainy weather on the day we visited, but still spend ages at the top to simply soak up the beautiful view over the Old Town. 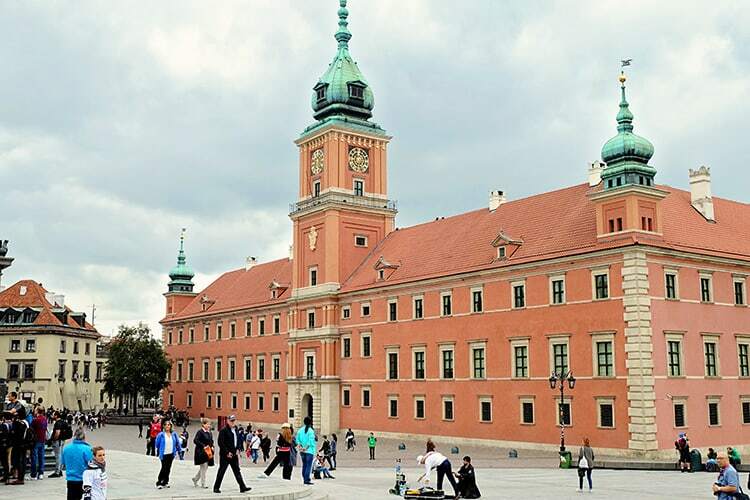 Beginning at the historic Royal Castle in Warsaw; the Royal Route is an intricately-laid cobblestone lane that will let you come to terms with the grandiose atmosphere of the city. 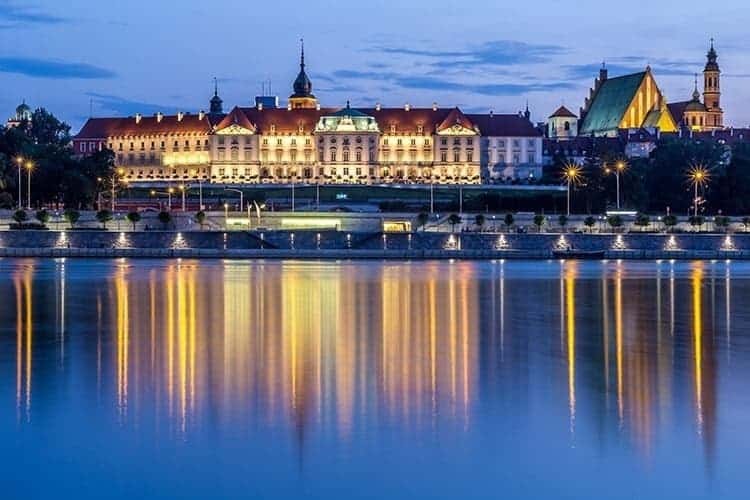 Some of the things located along this route include; the Royal Castle, the Presidential Palace, the ritzy Hotel Bristol, high-end shops such as Plac Trzech Krzyzy, a controversial palm tree sculpture and of course the Royal Palace. 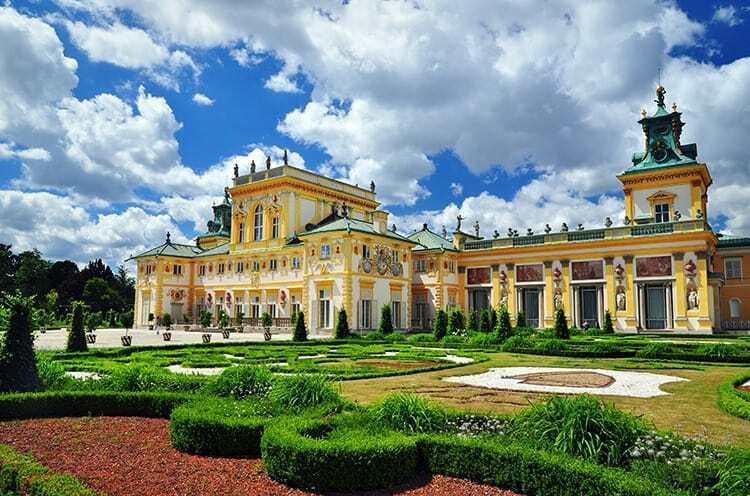 Visiting the elegant Royal Palace, which changed hands many times over the years, will afford you the special opportunity to learn more about Polish monarchs and how they had an immense influence on the city during their different eras. The palace’s intriguing design will captivate you just as its expansive outdoor garden. Lazienki is a Polish word for baths, and this park, which is the largest in Warsaw, derives this name from the fact that it used to be a huge bathing pavilion many centuries ago. 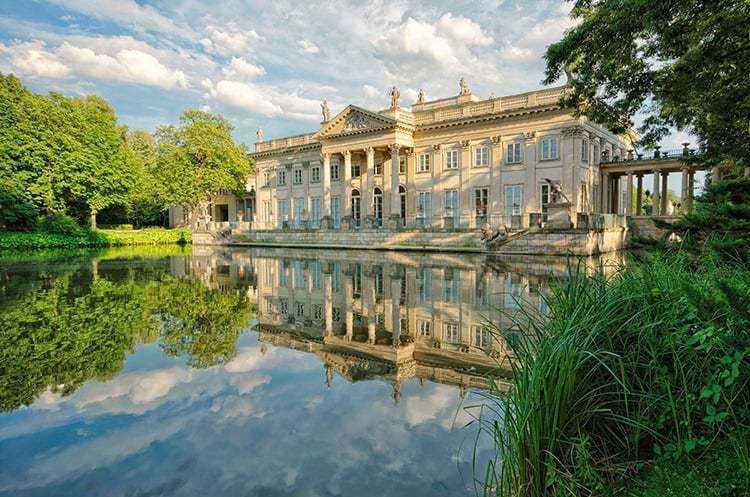 Also located along the Royal Route, the Lazienki Park is home to many stunning landmarks such as the Theatre on the Isle, the Palace on the Water, the Old and New Orangery and many more. Nothing can surely beat a first-class park that has a pristine lake and a majestic peacock roaming around. Whether you want to ride a bike, take a lazy walk or have a romantic picnic; the Lazienki Park is the place to be. Frédéric François Chopin is arguably Warsaw’s famous son. For those who do not know, Chopin was a world-famous composer and virtuoso pianist of the Romantic era. Born a few kilometres out of Warsaw, but raised in Warsaw – legend has it that Chopin was a poetic genius whose musical technique was without equal in his generation. For this reason, Warsaw is extremely proud of her famous son to the point that the city had to build an enthralling Chopin Museum to walk you through his very short life (he died at the age of 39). From his early recordings, original photographs and manuscripts to his great compositions; this museum will have you immersed into the life and history of one of the greatest musicians to ever live. It might possibly be one of the most famous of the attractions in Warsaw, so go and add it to your itinerary now. Even with the Arab uprisings that took place across the Middle East at the turn of this decade, the 1944 Warsaw uprising remains one of most pivotal events not just in Polish and European history, but in the whole world. Just to give you a brief, the Warsaw Uprising was an operation led by the Polish Home Army. Their main intention was to free Warsaw from Nazi Germany, as well as to prevent the Soviets from assuming control with the Germans already facing defeat. 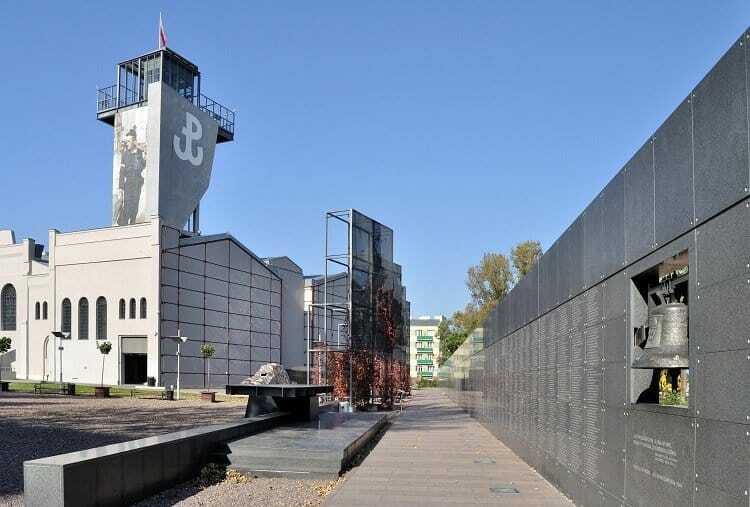 Today, residents still revere the Warsaw Uprising by flying flags across the city, but there’s no other place to learn more about this historical rebellion than in the Warsaw Rising Museum. You’ll definitely learn that the people of Warsaw are truly resilient and would do virtually anything to get what they feel they deserve. 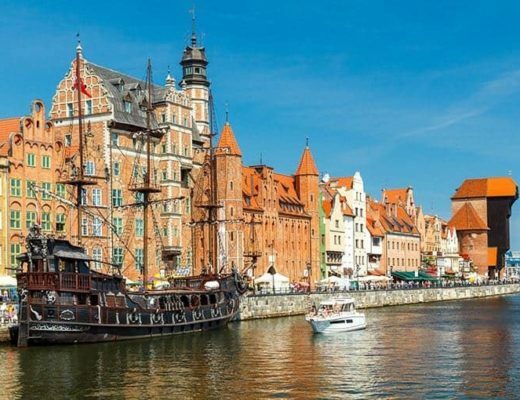 Learn more about this beautiful country in this post containing 25 interesting facts about Poland. Praga District in Warsaw was once considered a dangerous place by both locals and visitors, but this attitude has changed big time. Today, it’s a vibrant hub known for creativity and lots of captivating activities. Being the only part of Warsaw that remained unaffected by the WWII, many of Praga’s classic buildings are still going strong and have been turned into museums, clubs, bars and cafés. Remember to visit SOHO Factory and the Bazar Róźyckiego, which is basically Warsaw’s oldest market. Located at the site of the former Warsaw Ghetto, the POLIN Museum vividly documents the sad history of Polish Jews. You’ll learn in a chronological manner how Polish Jews came to Poland as traveling merchants during the medieval period, as well as how they were persecuted during the Holocaust and their lives in post-war years. Many parts of this museum will have tears lingering in your eyes and make you come to terms with just how humans can be so cruel to fellow human beings. 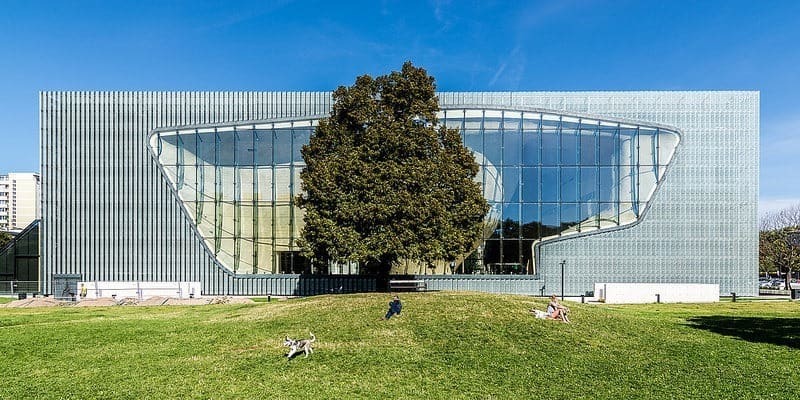 Located on the picturesque Vistula River, the Copernicus Science Center is one of the newest attractions in Warsaw. 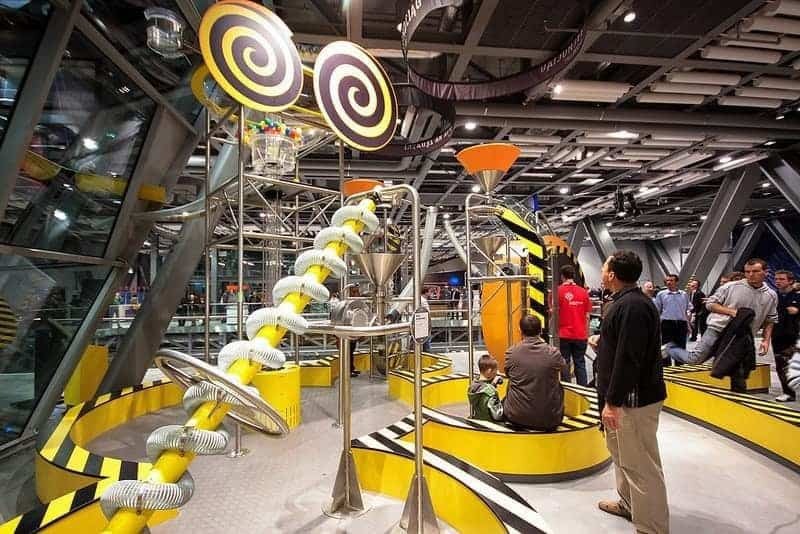 This is a great place for both adults and kids to learn a lot about Polish scientific discoveries, as well as other scientific discoveries of the world. In essence, it’s a perfect way to escape from the hustle and bustle of Warsaw and learn a thing or two about science. Many of the other items on the list might be a bit boring for the little ones, but this might just be one of the most fun things to do in Warsaw for kids. Even though the Palace of Culture and Science is a Stalinist architecture that draws love and hate in equal measures, it cannot be refuted that it’s an extremely beautiful structure. 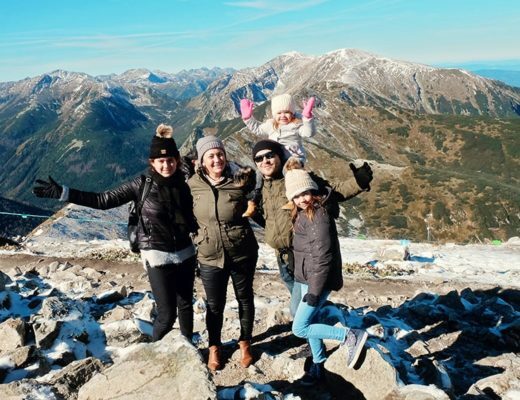 It may be a grave reminder of Poland’s dark past and association with the Soviet Union, but we have included it on the list due to the fact that you can ride on the elevator up to the 30th floor where you’ll get some captivating views of the sprawling city. The Wilanów Palace is a royal palace which is located in the Wilanów district of Warsaw. It is one of Poland’s most important monuments as it managed to survive Poland’s partitions as well as both World Wars. I love the vibrant yellow of the palace against the beautifully maintained gardens. You can easily reach the Palace with a short 30 min drive from Warsaw Old Town. As the longest river in Poland, the Vistula River runs right through Warsaw. While there are a lot of water sports going on in the Vistula River especially during summer, you can opt for a simple leisurely sunset ride on a wooden boat or just soak in some sun on the river’s sandy banks. If you’re a real foodie why not take a Polish cooking class. Learn how to make some Polish traditional foods such as the pierogi. Or if you prefer to leave the cooking to someone else, why not sample some of the authentic food in Warsaw. There are a lot of places where you can go and eat something totally different, one of the being Warszawa Wschodnia in Praga. It’s owned by celebrity chef, Mateusz Gessler who’s known for mixing French and Polish cuisines just to satisfy you and other customers. 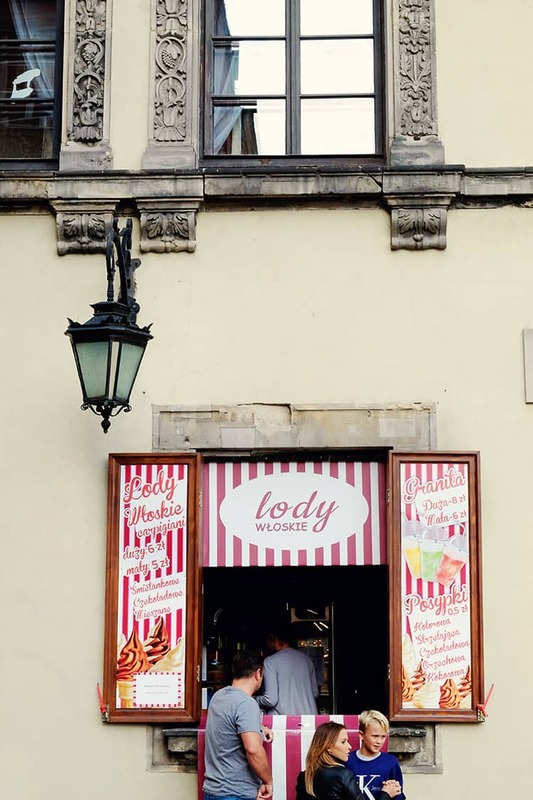 Of course, you can't go through Warsaw without stopping at one of the many Ice Cream shops. I love how you would find Ice Cream shop windows in all sorts of random locations. 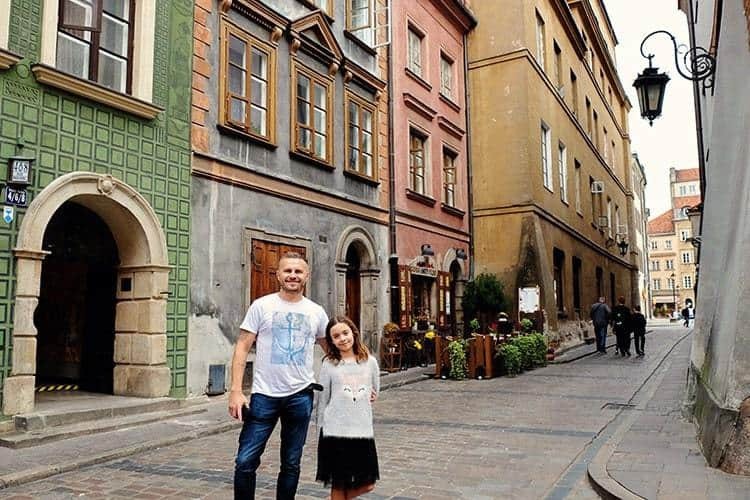 Another historical part of Warsaw that’s relatively unknown to the outside world revolves around its numerous milk bars, commonly known as Bar Mleczny. Warsaw’s first milk bar was opened in 1896. It was during the First World War that they became popular because they offered cheap, but nourishing food. Their fame soared once again during the WWII, and remains one of the trendiest things to do in Warsaw even today. A milk bar in Warsaw isn’t all about milk and dairy products. In other words, you don’t go there just to drink milk or alcohol, but it’s some sort of a cafeteria where you can eat simple and yummy dishes. You can sample a pink beetroot soup, coleslaw, potatoes with meatballs and many more. The best part is, these milk bars are super casual and utterly affordable. You can consider trying Bar Prasowy. Warsaw is a truly absorbing city that has striven against all odds to shrug off its dark past. 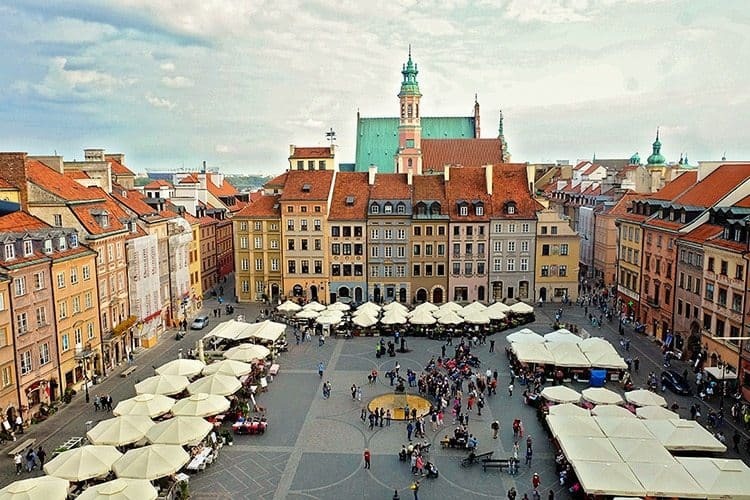 As you can see, there are a whole lot of things that you can do in Warsaw, let alone the fact that it’s a safe and highly developed in terms of transport and accessibility. It’s only a matter of creating time and getting to enjoy the best that Poland’s capital has to offer. Have you been to Warsaw? What did you enjoy doing whilst there? 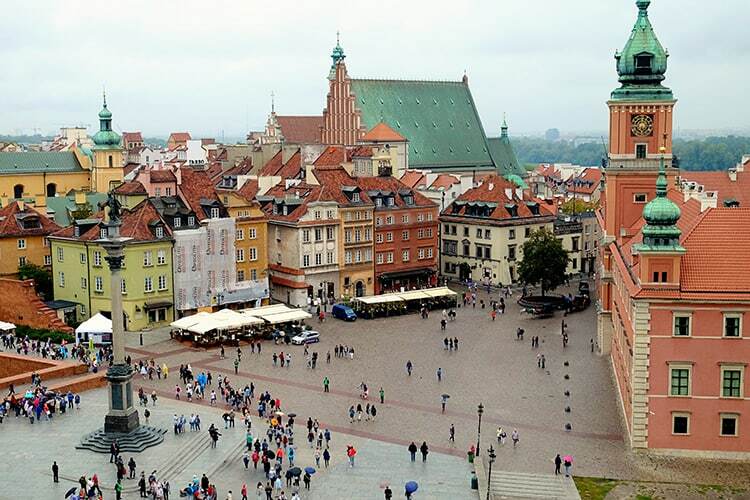 Poland has some very beautiful cities and Warsaw is among those beautiful cities. Thanks for your post as I’m headed to Warsaw and will follow some of your recommendations though I’m only there for about a day and a half. Looking for food, the choice in Poland is huge, it’s not the country from 20 years ago, now everything is here. From average pubs to such iconic places as the Akademia restaurant in Warsaw.